Announced in the Direct a few minutes ago, a new Paper Mario title is coming out to the Wii U later this year. Last edited by Cat333Pokémon; March 3, 2016 at 01:54:21 PM. I like the name "Color Splash," sounds like it's going to be a Paper Mario + Splatoon crossover or something. Oh, the possibilities. Yeah, at first I got the vibe that it was inspired by Splatoon. Now please bring back the partners. Gah, it looks beautiful, and I briefly got TTYD vibes (mainly the boat pulling up to port), but Mario whacking stuff to get cards to battle, overworld map, and looks like no partners this is probably going to be similar to Sticker Star. Dangit, you'd think the developers would have learned after two games most people prefer the RPG style of the first two games. I'll hold off on judgement until I see more, but for now this doesn't look like a day one buy for me. if they don't have a partner that is a blooper with rainbow tentacle things I will be highly disappointed. disclaimer: this is the first spoilers I've read of this game since E3 so I might be missing a few more things. - Basically an inverse of Super Mario Sunshine? - Stickers have been reskinned as "cards." I don't personally take offense at this, but . . . well, remind me to never read the comments on that video. - The color paint hammer thing could either be a really good mechanic or turn the game into a really annoying try-hitting-literally-everything fetch quest. I don't think it's going to be the latter, since you can see the colorless splotches, but you never know. 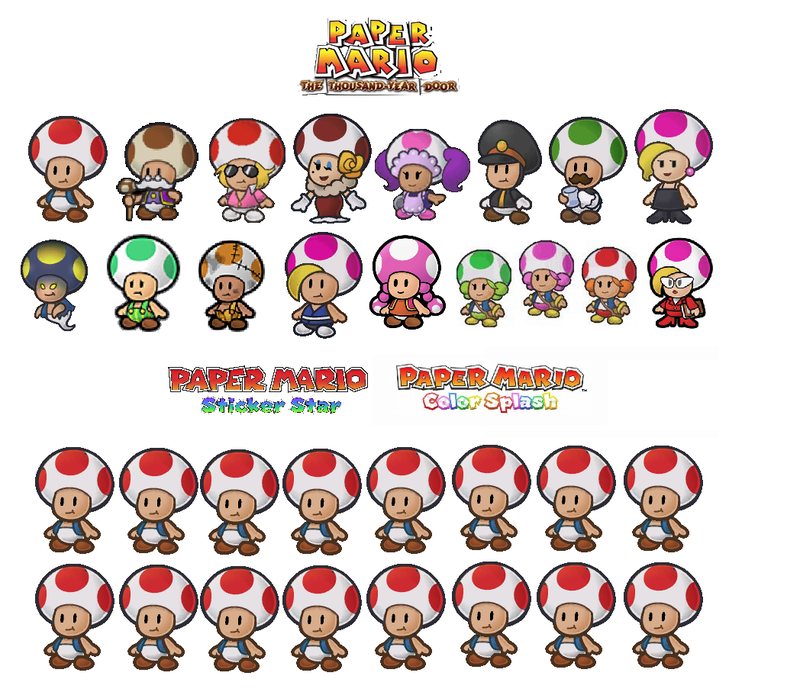 - Something about Super Paper Mario mechanics for SMB3-style levels. I am okay with this. - The plot doesn't sound BAD, but it does sound uncharacteristically one-trick pony-ish on Paper Mario standards. My guess is that it's going to be a lot like Sticker Star's plot, maybe a little more in-depth, but this still feels like another good reason to not read the comments. Face it, Internet, good writing in video games is a dying art. It stills looks very pretty visually, and actually seems decent as far as over-world game-play goes, and seems to have a bit of the series humor in it. In those respects it seems better than Sticker Star. However I'm still not thrilled on the Sticker Star-like battle system. That was my main complaint for SS and what led to me giving up on the game, having to search the overworld just to use even the most basic jump attack in a battle that wouldn't really do anything beyond bagging a few coins. This then led to the boss battles which either consisted of 1. Find that one large sticker to one-hit KO them, or 2. Waste every other sticker you have trying to defeat them. This doesn't seem different except now you are going to be limited by how much paint you have in addition to what cards you have. My opinion of it improved a bit since announcement, but still not entirely sold on it. Last edited by Yoshi648; September 14, 2016 at 05:43:11 AM. I honestly was hoping for more with the battle system. While the game looks (and sounds ) beautiful, it doesn't look like they've fixed up the battling. And of course, I don't think experience points are coming back. I thought sticker star was okay, the first three were better.. Color splash looks like sticker star. I quit halfway, because it got tedious and boring. I did like the music.